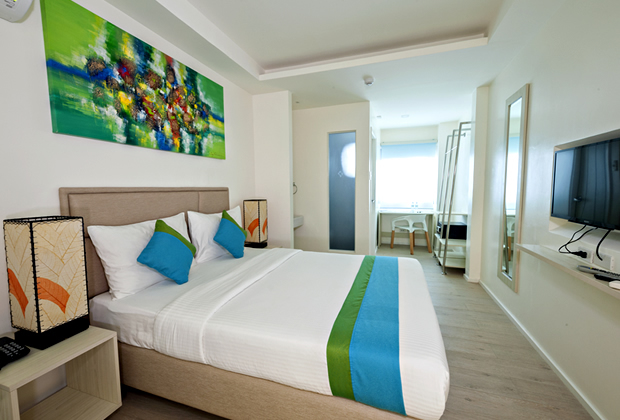 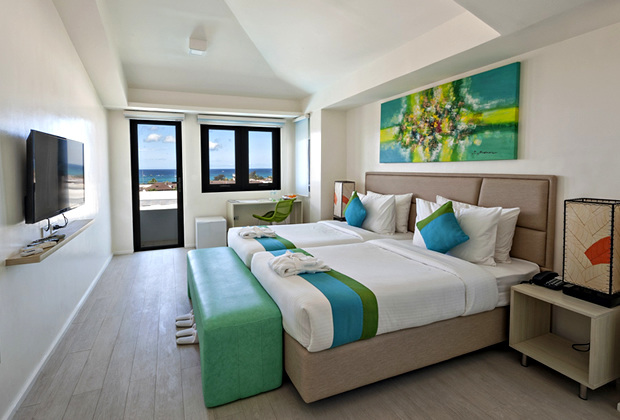 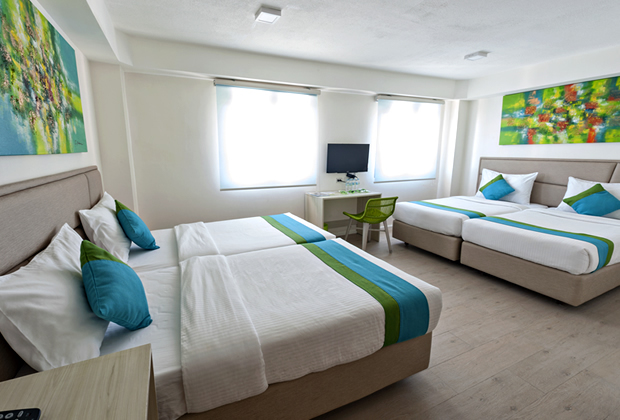 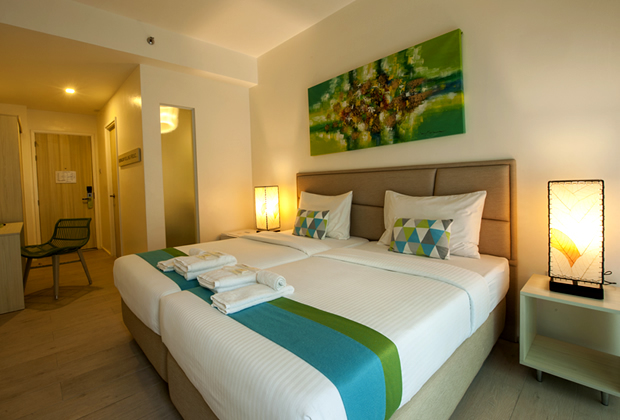 Our accommodation in Boracay stands out from the rest thanks to its youthful and vibrant interiors that will win anyone over instantly. 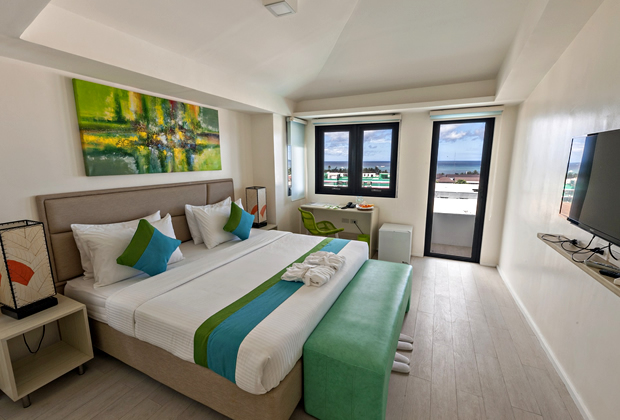 There are 46 rooms sprawled across 7 room types: Deluxe Double, Penthouse King, Penthouse Twin, Premier Double, Premier Twin, Superior Family, and Superior Queen. 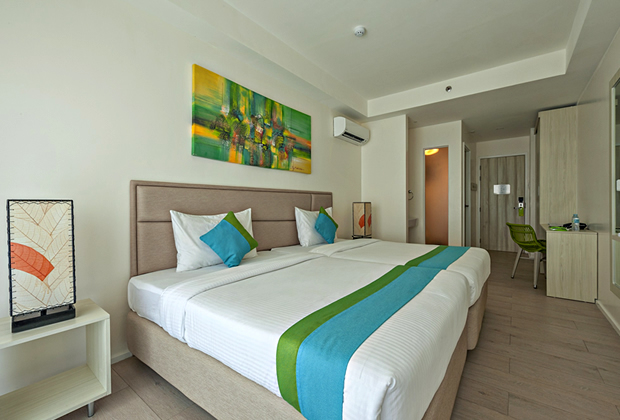 Each one is equipped with LED lights, UV double-glazed argon-infused sliding doors and windows to prevent noise, heat, glare reduction with high impact safety. 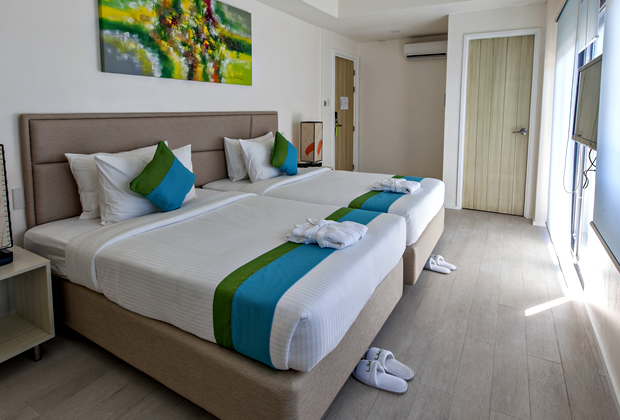 They also have tempered shower enclosures, textured and skid-free ceramic ﬂoor tiles, keycard door-lock set for easy access, sufﬁcient electrical outlets for gadget juicing, plus a shade and block out roll-down window covers to ensure a good night’s sleep.